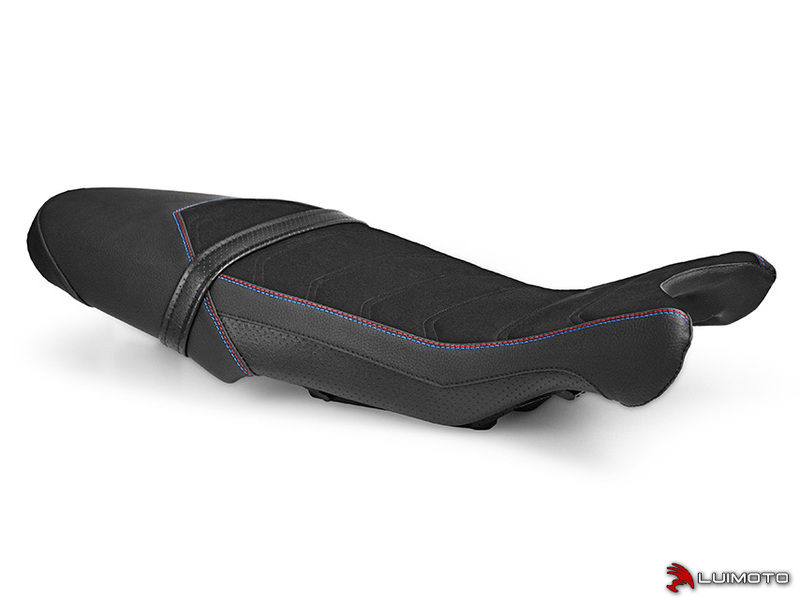 Introducing the R nineT Motorsports Cafe seat cover! It is hand-crafted with our highest quality materials. Featuring a luxurious synthetic suede riding surface, quilted with modern cafe racer ribbing lines. Marine-grade synthetic leather is stitched in red and blue, complimenting the lines of your motorcycle. Stand out with the finishing touch of Luimoto!